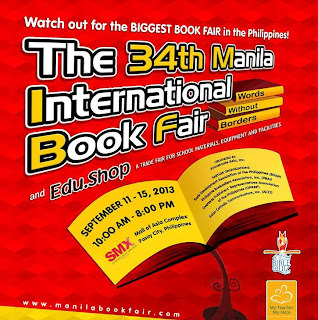 Now on its 34th year, the Manila International Book Fair is the country’s biggest and longest-running book fair with the largest and most varied collection of literature. This year's event will be held September 11-15, 2013 at SMX Convention Center near Mall of Asia in Metro Manila area, Philippines. 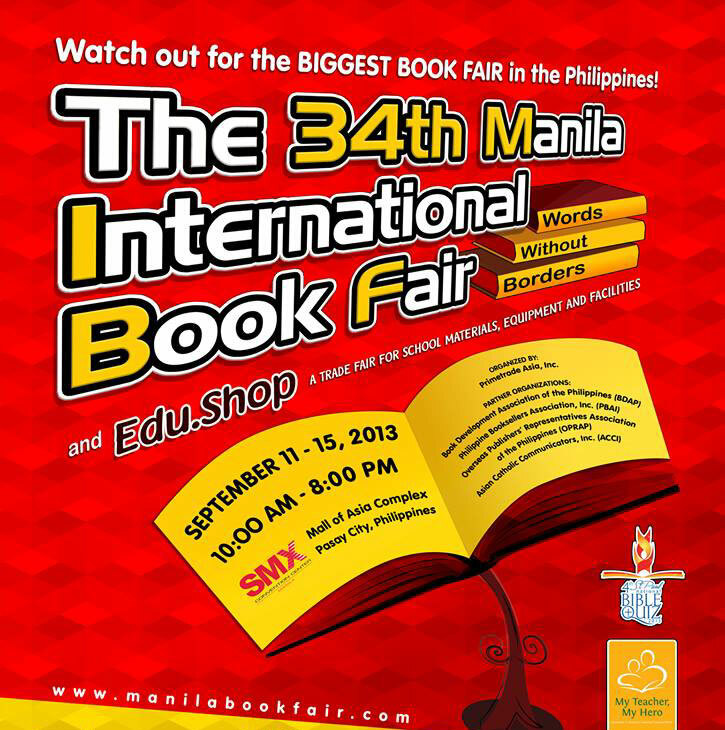 The fair will feature many activities including: storytelling sessions, poetry readings, book signings, book launches, literary awards, quiz bee competitions, interactive education, the annual St. Paul National Bible Quiz and many more activities that enrich the reading experience and contribute to the reading awareness of the Filipino public. * The Best of Anime: a lineup of exciting events to draw cosplayers, figure collectors, photographers, Japanese culture enthusiasts, artists, and even foodies. Features fun-filled activities, such as cosplay events, anime and cosplay suppliers, special concerts, contests, and guest appearances. * Educare Conference: an exciting education conference geared for parents, teachers, school administrators, child psychologists, and other professionals working with young children. Event highlights include improving math and science competency, financial literacy for children, and classroom management sessions. * National Conference on Language and Literature: a conference that gathers educators, writers, and scholars from the different parts of the Philippines to discuss issues and challenges affecting the disciplines of language and literature.